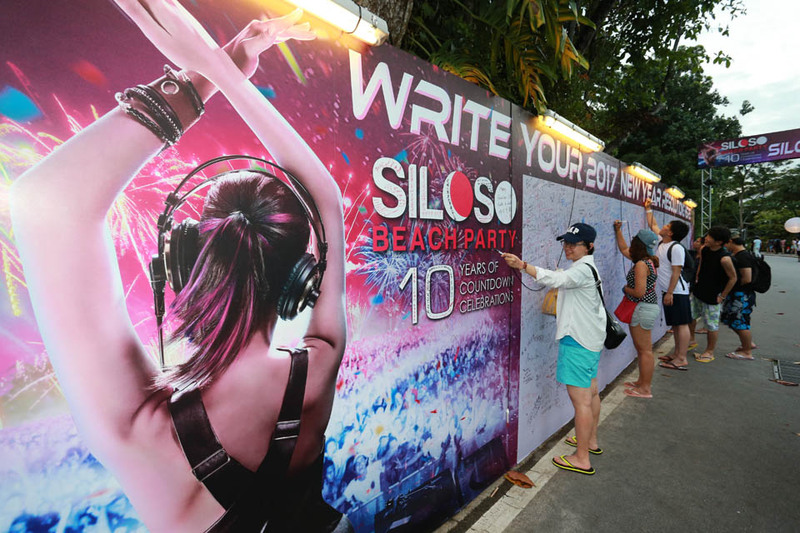 Over 12,000 (as at 1am) party goers ushered in the New Year at the Siloso Beach Party (SBP) 2016, Singapore’s biggest beach countdown party held at the scenic Siloso Beach in Sentosa. 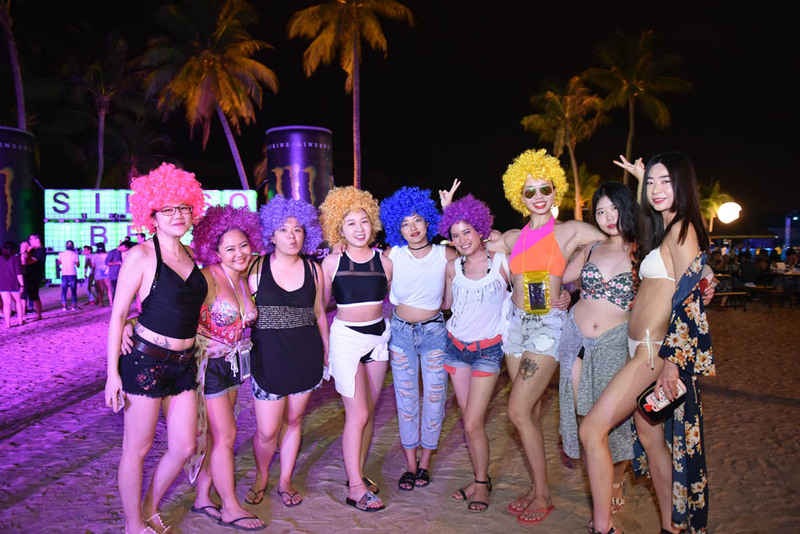 The beach party saw both local and overseas paid guest ring in 2017 with fun activities, exhilarating music and fireworks. One of the region’s more definitive beach countdown parties, SBP 2016 draws party-goers outdoors to a night of unbridled revelry beyond imagination and blessings for a brighter new year. 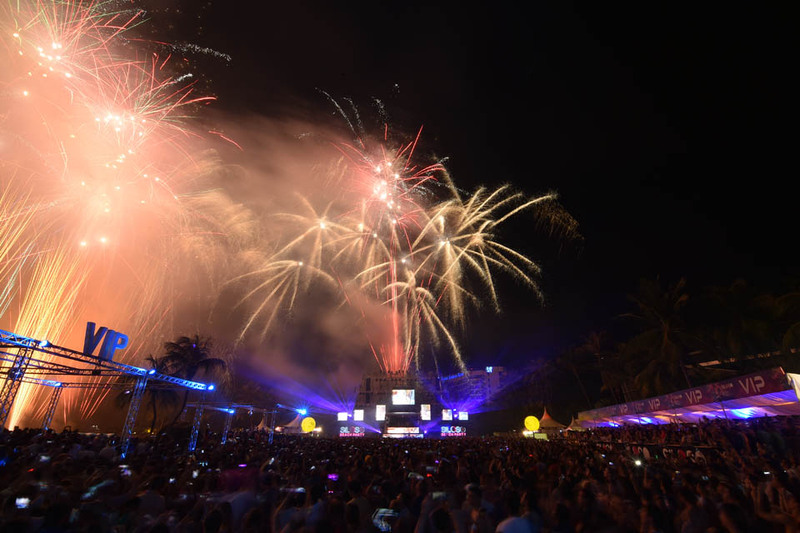 The iconic party at Sentosa marked its 10th edition with a star-studded line-up of international and local DJs and unique treats giving guests 12 hours of non-stop music and entertainment. Excitement and cheer filled the air as party-goers started streaming in with their friends and loved ones from 6 pm onwards. Revellers eager to embrace the New Year penned their resolutions and hopes for 2017 on SBP’s resolution board. The special treats included a two-hour DJ segment at SBP’s signature foam pool, back by popular demand. Led by veteran DJ Kevin O’Hara who dished out a curation of SBP’s best party hits over the last decade, revellers enjoyed a musical journey all the way till midnight at the pool. A fresh addition this year was a unique ladies-only booth, presented by Kao, where ladies could take a break from the partying and enjoy a pampering session. The booth included sections for ladies to touch up their hair and make-up, enjoy a relaxing eye mask and more, as they refresh and recharge before returning to the sandy dance floors. It all kicked off at 8pm as the star DJs took over the stage with electronic dance music. Headlined by Dutch DJ and producer Quintino, ranked No. 32 in the Top 100 DJs list of DJ Mag this year, the line-up also included prominent international DJs such as Kat DJ from Philippines. Up-and-coming local talents shone through the night, as the crowd partied away to the tunes by 2015 Sentosa DJ Spin-Off champion CADEN, as well as DJ Kaylova, and Shawny Shawn. At the stroke of midnight, stunning fireworks lit up the skies over Siloso Beach, as guests took a moment to give thanks and wish their loved ones and fellow party-goers a better and brighter year ahead. The fun did not stop there as party-goers continued to enjoy the night amidst the music and partying, until 6am on 1 January 2017. 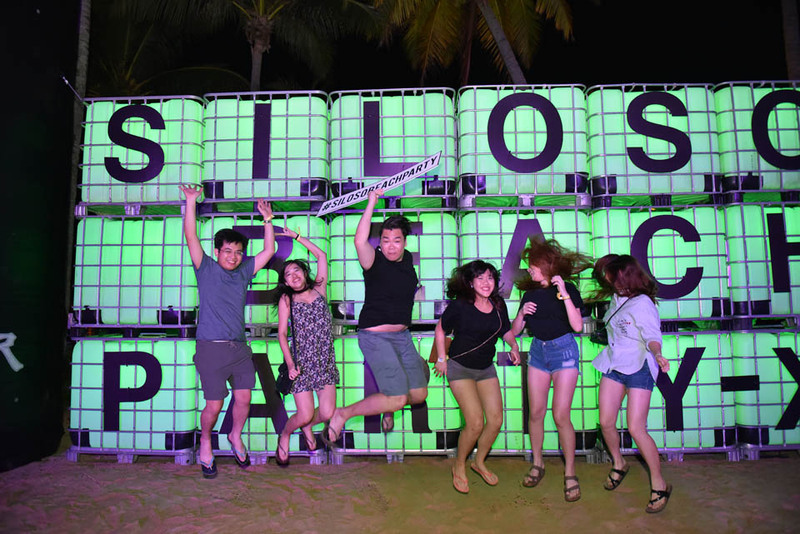 “The tradition of counting down to the New Year with friends and loved ones on sandy shores in beachwear while dancing to good music is one that holds a special meaning for Team Sentosa. Delivering an experience that is both memorable and full of hope is part of what the State of Fun wants to achieve. We wish all our guests a better and brighter 2017 ahead, and for many more years to come,” said Ms Agatha Yap, Director of Sales & Marketing at Sentosa Leisure Management, the island management arm of Sentosa Development Corporation.